Guaranteed Acceptance to Saint James School of Medicine! CIMT College is pleased to announce that we have another partner for students who wish to take our Pre-Health Sciences diploma program and then have guaranteed accepted to medical school with Saint James School of Medicine! 1. Non-traditional Students Welcome: There are a number of reasons that students may diverge from the traditional path to their medical degree – they started a family, pursued a different career path or didn’t make it past the application process. As a result, some students with the potential to become excellent physicians miss out on a medical education. International schools like SJSM, offer students the opportunity that many US and Canadian schools don’t…. the opportunity to pursue their dreams! 2. No MCAT: Saint James School of Medicine does not require the MCAT. When we evaluate your application, we consider a number of factors, including your undergraduate GPA, your volunteer and/or work experience, your diploma from CIMT College, your letters of recommendation, your personal essay, your interview and your motivations for studying medicine. We take a broad overview of our potential medical students’ abilities and motivations. This enables us to accurately determine those likely to succeed in medicine. Listed in the World Directory of Medical Schools with an ECFMG® Sponsor Note. For the graduation years indicated in the Sponsor Note, our students and graduates are eligible to apply to ECFMG for ECFMG Certification and USMLE® as a step towards ECFMG Certification. By staying accredited, Saint James School of Medicine can continue to graduate top-quality physicians, offer residency-training programs and help our students be part of a medical degree program they can be proud of – and one that meets national standards. 4. Cost: Heavy competition for medical school programs and high tuition fees mean that many excellent potential doctors get left behind. At Saint James School of Medicine, we believe that a medical career should be attainable for everyone with the commitment and ability to succeed. We offer a quality medical education with some of the most affordable tuition amongst all accredited medical schools. 5. Matches: Saint James School of Medicine has an exceptional residency match rate with many of our graduates currently working in US and Canadian hospitals as physicians, researchers or teachers. In fact, the International Medical Graduate matches were the highest since 1993. 6. Loans and Scholarships: Funding your medical education can be the biggest hurdle for qualified candidates. SJSM offers a variety of scholarship and loan opportunities. One is the Meritize loan, a unique way to fund your education, on your own merits, showing your promise as a professional in medicine. Providing your transcript – whether high school, college credits or previous skills-based school experience – Meritize will use your learning history to enhance your credit evaluation and improve your loan options. 7. Experienced Faculty: Our faculty is made up of accomplished medical professionals dedicated to scientific instruction and academic excellence. All faculty members hold an M.D., a Ph.D., or both. Many of our teachers are medical school professors from the US and Canada. SJSM enjoys a faculty-student ratio of 1:10 for more personalized attention while also offering tutoring, mentoring, one-on-one guidance, and research support. 8. USMLE Step 1 Guarantee: The USMLE STEP 1 is one of the greatest factors for being selected into a residency. Over the years, Saint James School of Medicine has graduated many doctors who are now successful physicians throughout the United States and Canada. We strive every day to improve our programs and curriculum to ensure the success of our students. That’s why Saint James School of Medicine is the only school to offer a Guarantee on the USMLE Step 1. 9. Location, Location, Location: Medical school is an intensive undertaking, so why not pursue it in a relaxing, laidback environment. 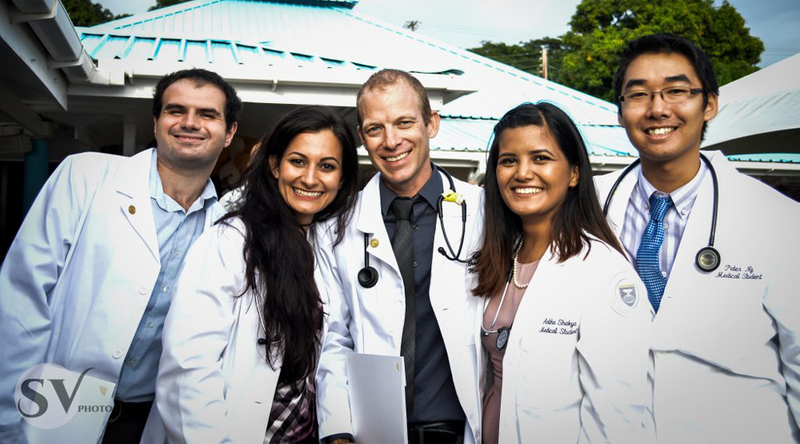 Saint James School of Medicine has two campuses on two beautiful Caribbean islands – Anguilla and St Vincent. We provide a quality medical education, faculty, and facilities on both picturesque campuses. 10. Guaranteed Acceptance with CIMT College! Just earn your 90 credit hours with the Pre-Health Sciences diploma program from CIMT College, and you have guaranteed acceptance at Saint James Medical School! If you are interested in Saint James or would like some answers to your questions, you can call the admissions team at 800-542-1553.